Everyone is on their own "Hero's Journey", which is your unique Life Pathway. As you continue on your way through life, sometimes you stumble, or get lost along the way. Life Coaching, Hypnotherapy, Toe Readings, and even Oracle Card Readings can help you get back onto your own life path. 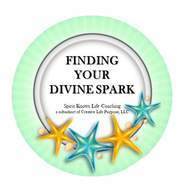 Make the investment in Your Life and Discover Your Awesome Divine Spark! Discounts available when purchasing multiple sessions and paying in full at time of purchase. ALL SESSIONS OFFERED ARE BY APPOINTMENT ONLY! Distance, "tele"-Coaching and Hypnotherapy sessions are done "virtually" by Telephone, Skype, or Zoom. In-person sessions can be arranged if client resides in Phoenix, Arizona. Distance "tele"-Toe Readings can also be done via Skype or Zoom, or telephone session can be done. Email photo of feet to me first. All receipts will show as being from the parent company, Creative Life Purpose, LLC.